Thanks to Google’s free Gmail service, thousands of people today use Gmail for personal or business matters, as well as online faxing. They’ve continued to update their service by adding on features such as Google Drive for storage, Calendar, Photo and even document management and editing. A few years ago it was impossible to send anything but emails through your computer. Email accounts came with a limited amount of storage which meant sometimes you couldn’t receive messages when your inbox was full. But Google introduced a new web mail service in 2004, Gmail, that eliminated all those problems for us. Today, sitting in front of your computer connects you to a world of resources, all at the tips of your fingers. However, Gmail isn’t planning to implement a service to fax from your inbox as they’ve stated on their support page. Although Google Voice offers a great communication solution, it also doesn’t provide a faxing feature and Google hasn’t expressed plans on implementing one soon. However, there is a way to send a fax from Gmail by using a third party solution known as email faxing which can be easily integrated with Google. These services provide you with a Google fax number and digitally converts all your incoming and outgoing faxes through Gmail and eliminating the need of a faxing machine while saving you time and money. Gmail fax doesn’t require lengthy set ups and you don’t need to purchase extra hardware or install complicated cables. 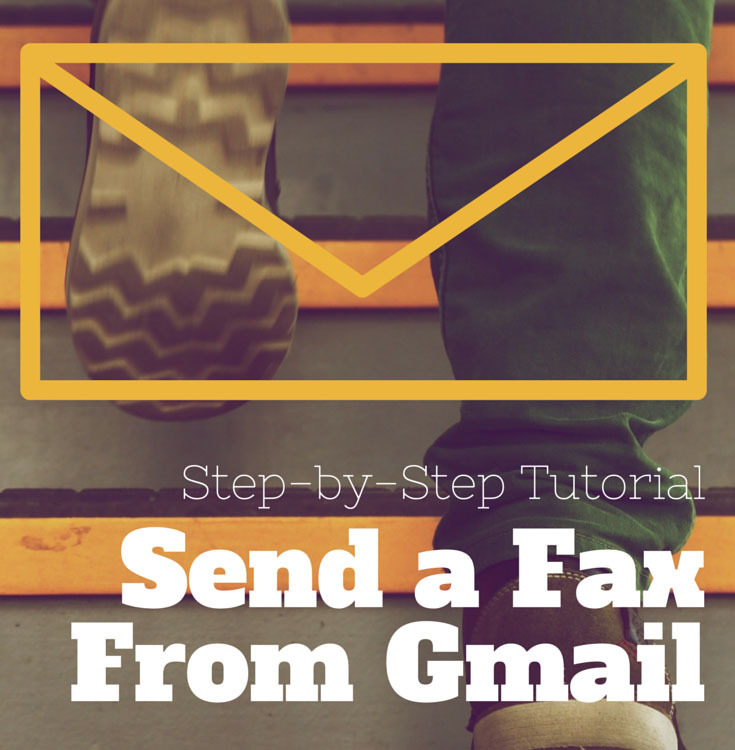 In fact after reading this tutorial you should be able to send your first fax withing the next few minutes, making it easy to transition towards Gmail fax. Services such as RingCentral and eFax give you the opportunity of creating a free account that gives you up to 30 days of free access to their service. You will have access to all their features and it’s a great way to learn how to fax over Gmail and try out their service before choosing a plan. You could also use websites that let you transmit a limited amount of fax pages at no cost. You cannot do this from your Gmail account and instead it is done directly from the website. If you need to send more fax pages there is a price and it’s usually more expensive then using a monthly plan from email fax providers. While these websites do work, they do mention that your fax may not be delivered. It’s also important to keep in mind that there are no security features which is why it’s best to use it only if you going to fax documents that don’t contain confidential information. Entering the fax number in the “To” section (instead of entering a receiver email). Documents to be faxes can be attached to the email. The cover page title can be placed in the Subject section. The cover page message can be placed in the content area of the email. You can follow these steps without having to commit to a monthly plan by using a free trial account. These are provided at no cost to you and will allow you to explore all the features of the Gmail fax service with no strings attached. To start just create a new email by clicking on the Compose button. The subject of the email will be the title of the fax. In this example we placed “1” before the area code, followed by the area code “222” and then the fax number “3334444”. The beauty of online faxing is that you can attach a variety of document formats. Whether it’s a Word Document, Excel or even an image. Check with your provider to know what document formats you can use. Most providers will accept an variety of formats and you can also grab documents from your online storage accounts such as Google Drive, DropBox or Box. Attaching a document to your fax is the same process as attaching a document that you email. You can also include a message for the cover page by typing it in the body of the email. Where you would normally write the message for your email you can place the text you would like to include on your cover page. Check over your fax, make sure you’ve entered the fax number correctly and the right documents are attached. Then click SEND and you’re Gmail fax is automatically on it’s way to being converted and delivered within minutes! That’s how easy faxing through the internet can be with a Gmail fax service. After completing these steps your fax will take a few minutes to be delivered and you’ll also get a confirmation message to inform you if your fax was sent successfully or if there was an error in the process. Most providers will automatically try to resend a fax a few times if it fails on the first try, which makes it unlikely to receive an error message. But if you do receive an error message, the email will explain why the fax wasn’t delivered. Is Online Faxing the Best Option? Although there is no direct service from Google to transmit faxes, using an online fax service is the best choice for those who want to integrate online faxing with their Gmail account. Compared to using a fax machine you’ll save money by not even having to buy a machine, no installations for an extra phone line and reduce paper and ink expenses. You can start out with a free trial account which gives you full access to the services features and up to 30 days for you to review and compare this breakthrough solution.